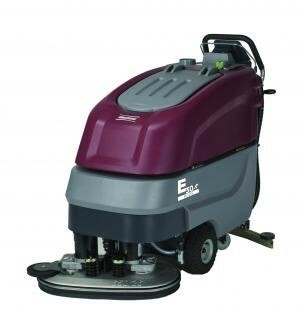 Given the wide range of floor scrubbers for sale, knowing which one to buy can be confusing. However, choices shouldn’t overwhelm you, no matter which product you are buying. Think about shopping for cleaning equipment as an investment, one which will prove to be an important factor to not only clean working environments but the success of your business. So, make sure to take your time and evaluate your choices before making a decision. When shopping, avoid committing the same mistakes other business owners tend to make. Just because the equipment is new and shiny doesn’t mean you shouldn’t think ahead about the repairs and maintenance it may need. You need a scrubber that will serve you for a long time, but you also have to be prepared for the times it will falter. Before making a purchase, be sure that replacement parts are easily available. This way, you won’t need to wait long to make the necessary repairs, as this could affect your establishment’s maintenance schedule. Check the prices of replacement parts, such as pad driver or brush, battery charger, squeegee blade set, and water solenoid valve. Include this in your budget for maintenance tools and equipment. “Wet-cell” batteries are the traditional choice, but there are now better options. You may want to consider getting gel-style batteries for better maintenance, health, and safety reasons. This type of battery deals with total discharge better, but remember that you shouldn’t allow a machine to totally discharge. While most floor scrubbers can fit a standard doorway, you should still evaluate the machine’s width. If your building features differing doorway sizes, then you’ll have to make sure that the equipment can go through all of them. Don’t forget to check the equipment’s scrub head size and squeegee. Otherwise, buying a floor scrubber with the wrong size for many of the rooms in your establishment will make your job longer and harder. These are only some of the mistakes you need to avoid. The best way to find the right floor scrubber is to consider all aspects and dimensions of your building’s maintenance needs. Then, match them to the equipment’s specifications.